Trip will be just the second-ever visit by a French foreign minister to the Southeast Asian state. France’s foreign minister will pay his first visit to Myanmar later this week, the French Embassy in Yangon said. French Minister for Foreign Affairs and International Development Jean-Marc Ayrault will make the first official visit by a French government representative since the landslide victory by the opposition National League for Democracy (NLD) last November brought to power the first civilian government in more than half a century. Sonia Tebbakh, the first secretary at the French embassy, told The Myanmar Times that the purpose of the visit, which will last from June 17 to June 19, would be to show France’s support for the new government and announce how it intends to aid it in the coming years. “The purpose is to renew support of the French government in favor of the democratic transition in Myanmar and to announce what will be the financial involvement of French development aid through the French Development Agency for the coming years,” she said. 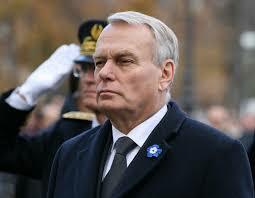 On June 17, Ayrault will meet with high-level officials in Nypyidaw, including President U Htin Kyaw, State Counselor Aung San Suu Kyi and Commander-in-Chief Senior General Min Aung Hlaing. The following day, he will meet with Yangon Region Chief Minister U Pyo Min Thein, French NGOs, and businesses, and Myanmar civil society organizations in Yangon. On June 19, he and his delegation will visit the house of U Thant, the former secretary general of the United Nations, and meet with his grandson Thant Myint U, who now serves as chairman of the Yangon Heritage Trust. Ayrault’s visit is just the second ever visit by a French foreign minister to Myanmar and the first since Alain Juppé’s trip in January 2012, which occurred under the former Thein Sein government. During his visit, Juppé had announced a tripling of French development assistance to Myanmar and said it would work toward the lifting of sanctions in response to reforms taken by the Southeast Asian state. What Did France’s Hollande Achieve During His Malaysia Visit?France Unveils Its Defense Strategy in the South China Sea and BeyondVietnam: A 'Pivot to Asia' for France?Malaysia’s Evolving Approach to China’s Belt and Road InitiativeWhat Will Indonesia’s Foreign Policy in Jokowi’s Second Term Look Like?